Changemaker Catalyst Award recipient Ryan Hechler co-directed his third season of his archaeological project, Proyecto Arqueológico Cochasquí-Mojanda, in Ecuador between May and June 2018. Ryan used his award to offer archaeological training and experience to Ecuadorian undergraduate students from Quito. Ryan is an Anthropology PhD student at Tulane University. 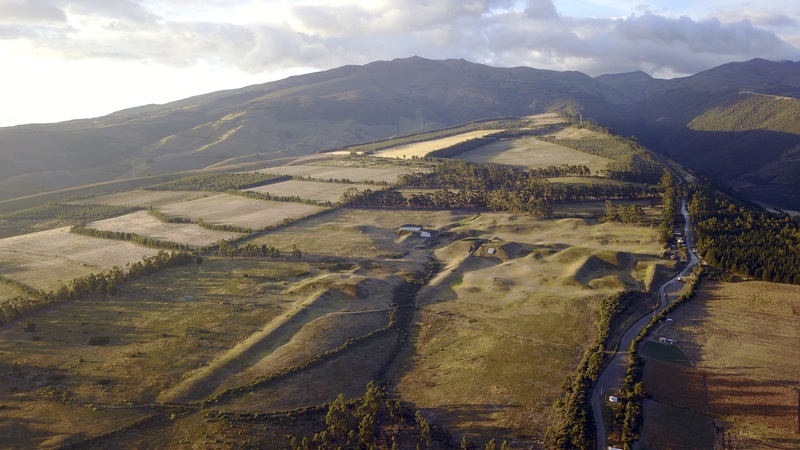 In Summer 2016, my colleagues Estanislao Pazmiño, William Pratt and I started directing an archaeological research project, Proyecto Arqueológico Cochasquí-Mojanda, at a nationally important late Pre-Columbian earthen pyramid site in Ecuador known as Cochasquí. Cochasquí is one of dozens of monumental centers made by the Cara, a Barbacoan ethnic group north of Quito whose cultural development is tied to regional beginnings of monumentality. 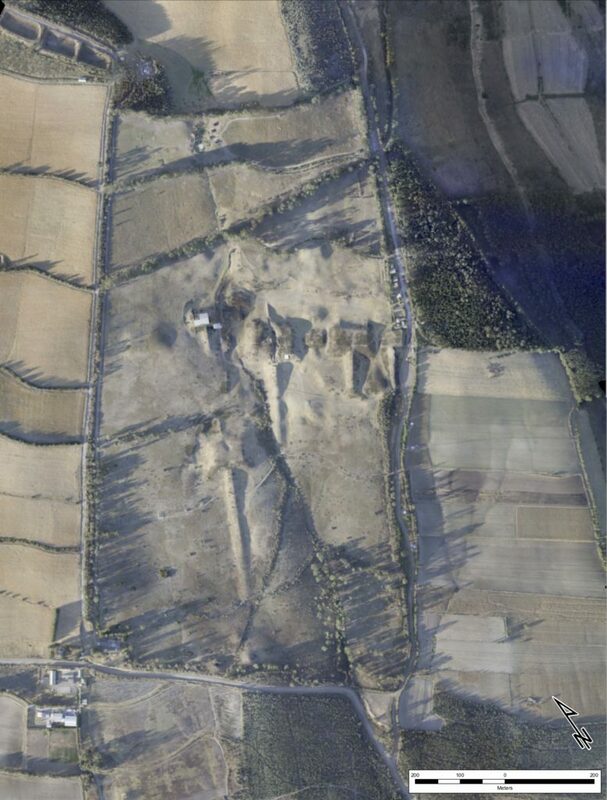 The site core is defined by 15 rounded burial mounds, built from approximately A.D. 950-1250, and 15 quadrangular earthen platform mounds, locally called tolas, built from about A.D. 1250-1500. Cochasquí has left its imprint on national conceptions of heritage, with it – at times – being framed as a predecessor to the Ecuadorian nation-state. Cochasquí was the first designated archaeological park in Ecuador, and is under the stewardship of the Parque Arqueológico Cochasquí. There have been only two major archaeological projects conducted previously within the Cochasquí park, one in 1932 and another between 1964 and 1965. Being able to participate in archaeological excavations at such a national heritage site is a consummate opportunity for local young archaeologists, especially since our project is the first opportunity to do so there in half-a-century. 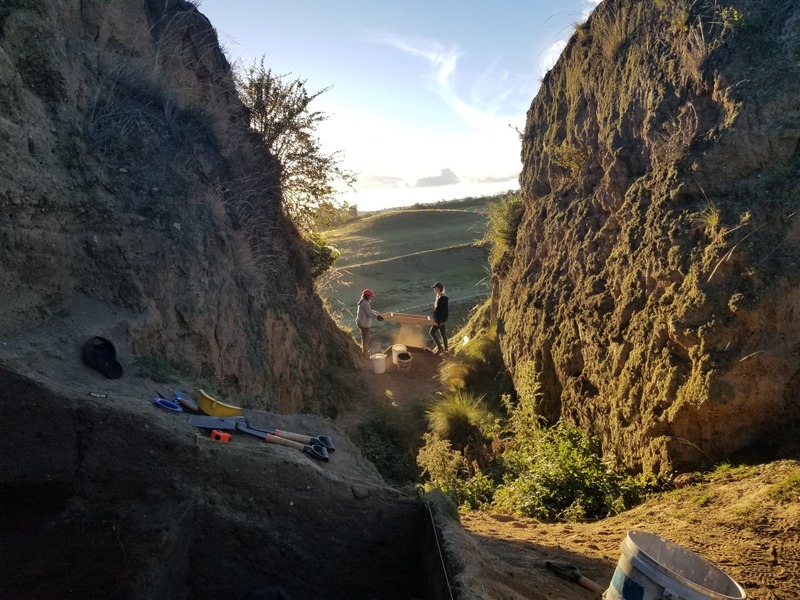 To move forward with one’s archaeological career in Ecuador, it is expected that an archaeology undergraduate student obtains field experience through various accessible venues. 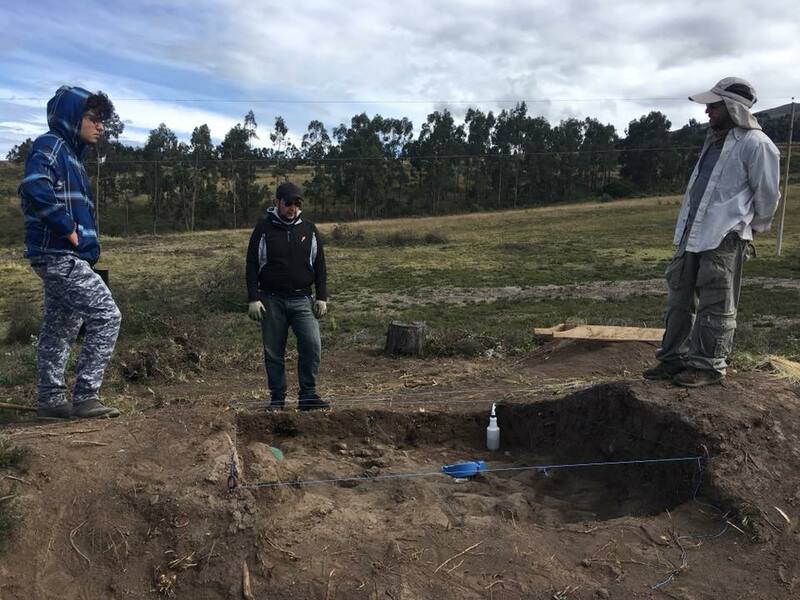 Some archaeological projects prefer not to incorporate inexperienced people out of fear of falling behind, or simply even due to logistical and financial concerns; fellow director Estanislao remembers those initial struggles trying to secure steady experience as an undergraduate in Quito. With this in mind, we are constantly determined to incorporate Ecuadorian students by offering them a professional opportunity, to help move them forward with their own career interests. Mauricio and William listening to Estanislao’s interpretation and goals of the excavation – Parque Arqueológico Cochasquí, Pichincha Province, Ecuador. Thanks to the support of Taylor’s Changemaker Catalyst Award, we were able to better support students involved with our field season between May and June 2018. We incorporated four of the students that had previously worked with us during either our 2016 or 2017 field seasons, as well as two new students from PUCE. Our goal was to build off returning students’ preliminary experiences and more formally incorporate new students in the beginning of our project season. At the start of this field season, we further developed a formalized systematic review of field excavation methods, as well as of the various components of relevant lab work. Students learned how to establish an archaeological test unit, how to excavate, basic soil analysis, screening methods, and how to identify regional artifacts. Within the lab, students learned cleaning and curation methodologies, and the basic fundamentals of artifact drawing. Mapping techniques were taught as well as how to collect GPS data. Andrea and Clementine screening excavated soil – Parque Arqueológico Cochasquí, Pichincha Province, Ecuador. One of my own long-term aims is to actively offer an experience that not only benefits project research, but also caters to students’ interests. Archaeologists are inherently public scholars by the nature of our research. We must be mindful of this and continuously consider our research trajectories and their inevitable intersection with a wide variety of stakeholders, particularly local students. 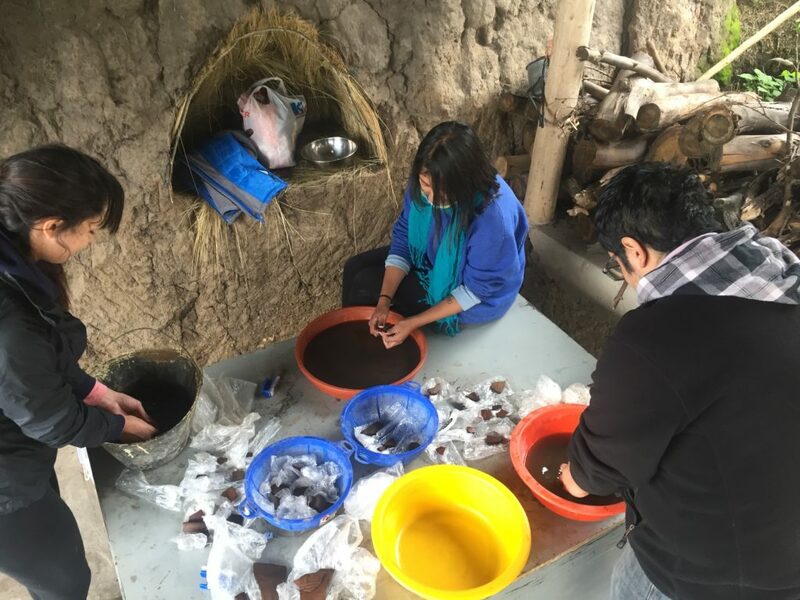 My future objective for archaeological research is to maintain a sustainable educational and professional archaeological experience for Ecuadorian anthropology graduate students. The successes of our engagement with these students will hopefully be reflected in their continued interests in archaeology, if this learning did directly aid their own career goals, and their potential future return to our project in subsequent years. Andrea, Andrea and Mauricio cleaning ceramics – Parque Arqueológico Cochasquí, Pichincha Province, Ecuador.